Google Maps has a new beta peeking out on devices. After a great deal of poking around, the list of changes for the interface is pretty sparse, but as always, there's a ton to discuss from the teardown. There's more from the home screen shortcuts, showtimes with ticket sales, detail fields for food photos, and way more. 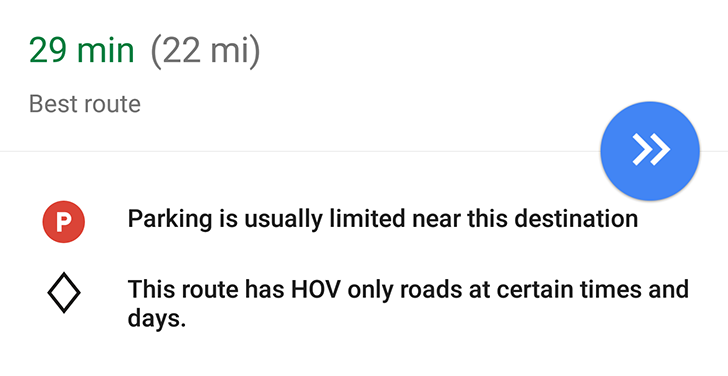 A few weeks ago, a new Parking Difficulty icon started showing up in Google Maps 9.44 beta in some cities in the United States, then Google officially announced it and specified where it's available. It also said that the estimate is "based on historical parking data," similar to how traffic and popular times and visit durations are calculated, but it didn't go into a lot of details. Now those details are further clarified in a post on the Google Research Blog. The difficulties of calculating parking availability stem from the many, many factors that can influence the equation: time and day and weather and holidays/events, permit or illegal parking in park-meter areas, vacant spots with paid park-meters from cars that left early, parking lots with multiple levels and different structures, and so on. 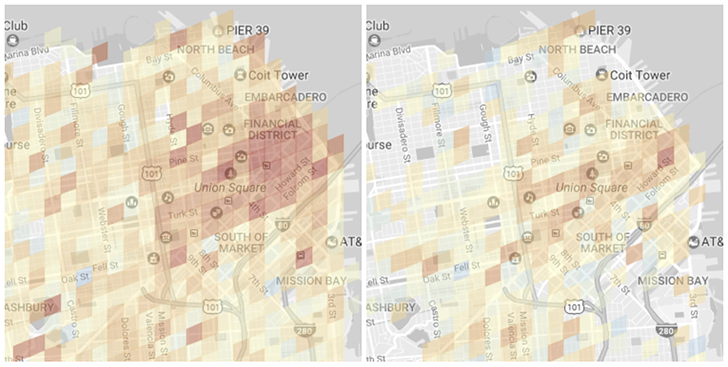 Even with these issues accounted for, there's the false data coming from private/gated parking spots, taxis dropping users who look like they immediately found a parking and reached their destination, and bus stops showing up in the data sets as popular parking spots. Back in August, Cody found strings in his teardown of Google Maps v9.34 beta that hinted at an upcoming display of parking difficulty. The option may have crept up for some users since then, but now we have our first glance into how the feature will work since it has started showing up for more is live for users on Maps v9.44 beta.